We have a couple of tasty cocktails here with a grapefruit base. The Greyhound has been around for a long time and now is typically made with a simple vodka and grapefruit juice. 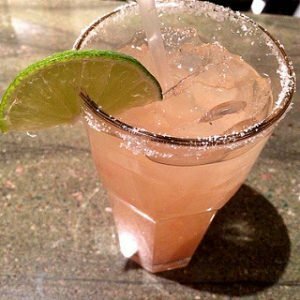 As soon as the salted rim on the margarita came around, bartenders everywhere started exploring the idea of adding salt to their other citrus mixed beverages. Thus was born the Salty Dog, and the few details required to whip up these two fantastic cocktails is what we have spelled out below for you. Both of these cocktails we teach in our bartender certification course. These drinks are old standards, and easily demonstrate the versatility of both vodka and gin when mixed with a citrus as sour and unliked as grapefruit juice. We also teach the Screwdriver and Harvey Wallbanger, as these drinks also are essential for all new bartenders to know by heart. This is a very refreshing summertime cocktail mixed with grapefruit and vodka. 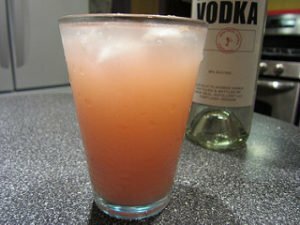 Any type of grapefruit juice can be used, and you can substitute the vodka with gin if you like. Use a salt rimmed glass and it will be what you call a Salty Dog. This cocktail’s main benefit is the fact it is so easy to concoct. It’s kind of like a screwdriver more of a girls drink. How to you make a Salty Dog Cocktail? The Salty Dog is the saline version of the popular “canine” drink, the Greyhound. These two citrus based drinks are great, if you learn one of these cocktails, you know the other. Just switch the vodka with gin and salt the glass rim and the your Greyhound becomes a Salty Dog. Personally I like this drink better, the gin adds depth to the grapefruit and if you add a dash of peach bitters, WOW!